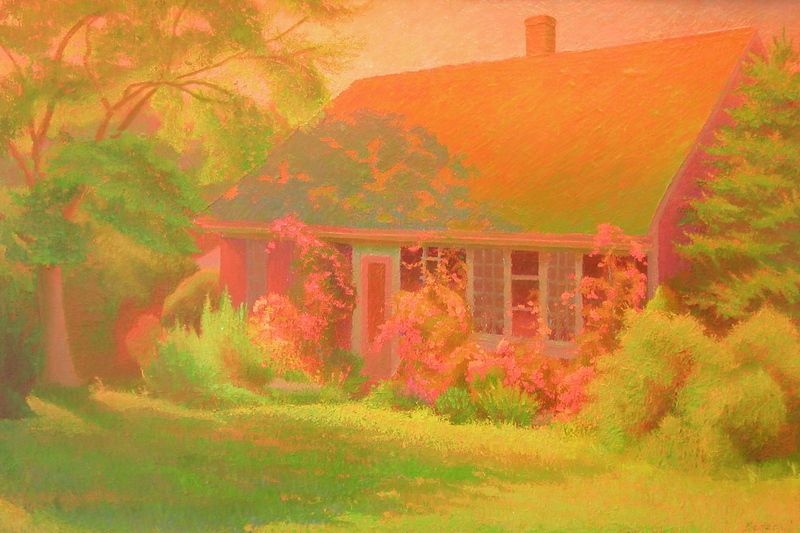 Dawn's Roses captures the Hazy Light of Cape Cod. Bathed in an incredible array of prismatic greens and reds. it is truly a masterpiece. The roses climb the front of the oldest house in Truro on Highland Road near the Highland Lighthouse. It is 24"x36" and is in a beautiful guilded frame.